Cashback or referral would not be applicable for loans disbursed from public sector banks. 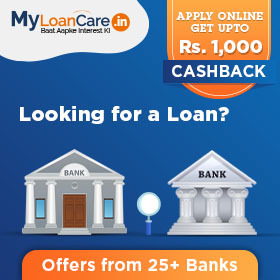 You can claim the cashback by filling up cashback redemption form online at MyLoanCare within 30 days of the date of first disbursement of loan. Cashback must be claimed within this 30 day period only. Any cashback not claimed within this period shall lapse.